Synopsis: The current real estate system is broken but now is time to fix it and THIS book is the answer. 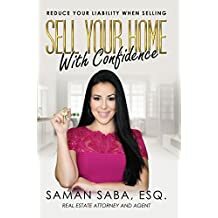 While dozens of books and websites offer repetitive generalizations on how to market a home, the sales process, and how to price a home – NO other book informs home sellers on how to become empowered to take charge in the sale of their home. Without a doubt, this book should be on every home sellers bookshelf, as it will help prevent homeowners from becoming a party to a lawsuit – a lawsuit that could have been ENTIRELY avoided if the homeowner had read this book.